‘A picture is worth a thousand words,’ or so goes the phrase. It’s safe to say that we are now a part of an over-stimulated digital world, with a new language driven by GIFs and emojis of all kinds. It’s part of our daily routine- it’s fun, intense and, well… in sync with the above phrase! So whether it is ???? someone, or simply sharing a ??? ?, we prefer to do it ???? way. They add personality to your emails. Distrosnack, a daily newsletter by the team at 500 Startups, is an industry favorite due to its delightful daily GIF. They help you concisely pack information in ‘as many words,’ and instantly grab your user’s attention. 56% of brands using emojis in their subject lines have a higher open rate. They are fun and expressive and can more effectively engage your audience. – Your users may choose to ignore a text message, but they would most definitely respond to an emoji! That’s the power it adds to the communication. While they are delightful and affable, the use of emojis and GIFs in email communications comes with a few caveats. In this article, I’m going to share insights on how to use emojis and GIFs in your email headlines and copies, things to remember while doing so, and when to draw a line. The use of emojis and GIFs in business email headlines and copy is a relatively new trend, but one which is fast catching on. Given their fun and upbeat nature, it is wise to draw a plan and ask some difficult questions before proceeding. Getting a high open rate is an expectation that might tempt brands to go all-out and adopt these strategies in a hurry, but it takes a long time to build an email list, and you don’t want to see users ‘unsubscribing’ from it if the use of emojis makes them feel that your brand isn’t serious. Here are a few quick checks that you should undergo before you decide to hop on the emoji and the GIF bandwagon. Is your audience young marketers or seasoned lawyers? Would a communication using emojis and GIFs sit well with them? The first thing a brand should do is to analyze their audience type and preferences. This isn’t a big deal. A lot of it directly correlates to the product offering, and the remaining can be analyzed with user surveys. If your brand is getting ready to experiment with these new marketing tactics, it is a good idea to first reflect on your brand’s existing voice and tone. This helps you to gauge the audience reaction better. A few brands, such as MailChimp and Slack, have pre-set brand and voice guidelines. MailChimp’s content guideline explicitly mentions that their voice is ‘human.’ It’s familiar and friendly but straightforward, it is fun but not silly, and it’s informal but not sloppy. When brands like these use GIFs and emojis the response is well accepted because the users are already used to an informal mode of communication. You won’t learn how to swim unless you enter the pool, right? The above-mentioned checks are one-dimensional in nature and partially based on guess-work. But email marketing is a science, and without testing a campaign you won’t really know the reactions of your audience. That’s where split testing can come in handy. You can divide your audience into categories, test two different versions, and evaluate the data to ascertain audience reaction. Look for CTR and unsubscribe numbers. Once you have ascertained that these communication tactics are a fit for your brand, it’s time to plan a clear strategy on how to use them effectively. When experimenting with emojis and GIFs, brands can use both together or use them individually, depending on their marketing plan and priority. While the use of GIFs in email copy is pretty straightforward, the use of emojis can be a tad tricky. That’s because a few platforms still do not support emojis in full, and they might, therefore, not display properly or be replaced by another graphic. Outlook 2003 is an example. Some platforms might also display just the first frame in a GIF, such as Outlook 2007, 2010 and 2013. So a prudent way to begin your email marketing campaign using GIFs and emojis is to run emails across an internal list and make sure that everything displays properly. The use of emojis in email marketing is often restricted to subject lines, but why not include them in the email copy, too? Their use in subject lines has been shown to boost open rates, so it would be significant to know which ones work best. You could run campaigns with differents emojis, evaluating internal data and comparing results. For example, an e-commerce company that I worked for realized that using the ❤ emoji in their subject line gave them better open rates and more clicks on the links within the copy. EConsultancy has run tests in the past and has identified the best emojis to boost open rates. The team found that a snowman emoji is hugely effective in making people open an email (+65.72%) followed by the sun (+20.95%) and star (+10.65%). However, the study does not state anything about the testing parameters, the sample size, or other significant details. While emojis in email subject lines have been found to be beneficial and help gain a user’s attention by cutting through inbox clutter, their use should be moderated unless they sit perfectly with your audience. The use of emojis in headlines should also be in sync with your core communication. For example, Yummly, a recipe sharing mobile app which sends a daily newsletter, uses ‘food-based’ emojis occasionally in their subject line. However, when they do it, the emoji complements their email content. Hubspot uses emojis in their promotional offer emails, such as the one below. In addition to using emojis in headlines, I feel that they can be cleverly used in email copy, too. Use a similar approach – don’t go overboard with them, and use them when it REALLY makes sense. This, for example, isn’t the best way to do it. Some brands do understand how to use them wisely. 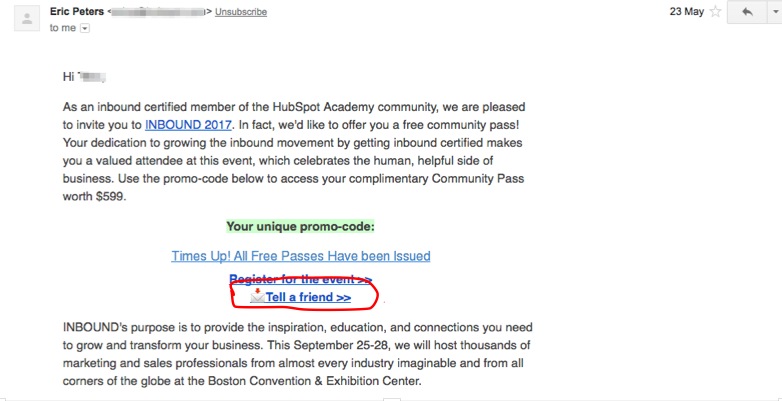 Here’s another example from Hubspot; look at the clever use of an envelope emoji. Lucia Fontaina Powell, Community Marketing Manager for Quuu Promote, cleverly uses emojis in the newsletters that she sends out. Community Managers are expected to keep open communication with their readers, and the use of emojis personalizes the experience. GIFs in emails have become a standard part of an Email Marketer’s arsenal. 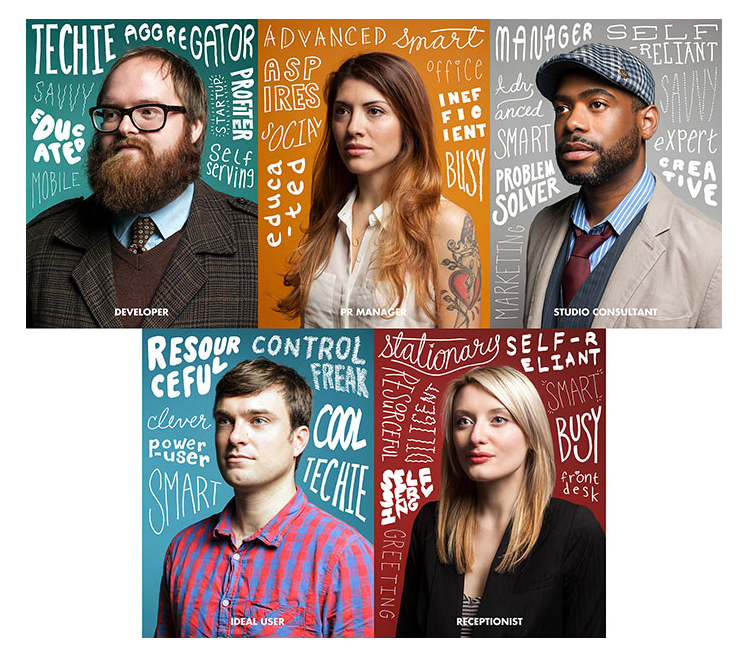 They are engaging, delightful, and can serve a purpose that static images can’t. A good example of their impact and effectiveness can be seen in this Dell case study. Dell used GIF-centric email campaigns, which resulted in a 6% increase in open rates, 42% increase in click rate, 103% increase in conversion rate and 109% increase in revenue. Email marketers have a huge untapped opportunity when it comes to using GIFs in their email marketing strategy. Clever planning can yield numerous use cases and each can be customized to the brand’s core offering. We’ve listed a few examples for inspiration. You’ve launched a new feature and you want to show its workability to users so that they are ready to test it. GIFs can be extremely helpful, as they compress information which otherwise would take a series of images to convey. A new product launch is always an exciting time for teams as it showcases the effort they’ve put into bringing it to light. GIFs can help you share the enthusiasm with your users and at the same time can introduce the new product to them in an engaging fashion. Sending too many emails to your users and not getting a good open rate? Maybe it’s time to experiment with GIFs. Plain newsletters from even the best brands can get boring. GIFs can break up the monotony and add personality to an otherwise drab email communication. Here’s a great example from Headspace. Everyone loves a good dose of humor. Not only does it add a smile to your user’s face, but it also nudges them to act. Harry’s, a men’s grooming line uses GIFs to add humor to their newsletters. The brand’s mission is to provide desirable grooming products to real guys, which is usually an ‘anti-guy’ thing, isn’t it? Their emails with GIFs help break up the norm and are indeed quite delightful. This is a no-brainer. In fact, most newsletters tend to use GIFs to launch an offer. The BBC ran an email campaign in which they used GIFs to draw attention to a survey. This strategy, if implemented well, can be used at various levels of marketing. Emojis and GIFs are fast becoming an Email Marketer’s go-to communication tools. They have the power to add the required oomph to an otherwise stale marketing campaign. However, they aren’t suitable for every brand or communication type. What are your thoughts on their usage? How often do you use Emojis and GIFs in your email communication? Do share your thoughts with me in the comments below.